Coconut Sugar – Rainbow Foods (Pvt) Ltd – Exporting Tuna & Other Sea Food Products World Wide. Rainbow Coconut Sugar is a premium natural sweetener. It is made from the sap of organic coconut palms, by tapping the sweet nectar from the coconut flowers and heating and condensing the liquid into crystal form. Coconut Sugar contains potassium, magnesium, zinc, iron, and B vitamins. It is also reported to have a lower glycemic index than other sweeteners in the market. With a low glycemic index in its natural form, Coconut Sugar provides nourishing sweetness for the human body, to the extent where it is recommended for diabetic consumers as the prime alternative to other sweetening agents. 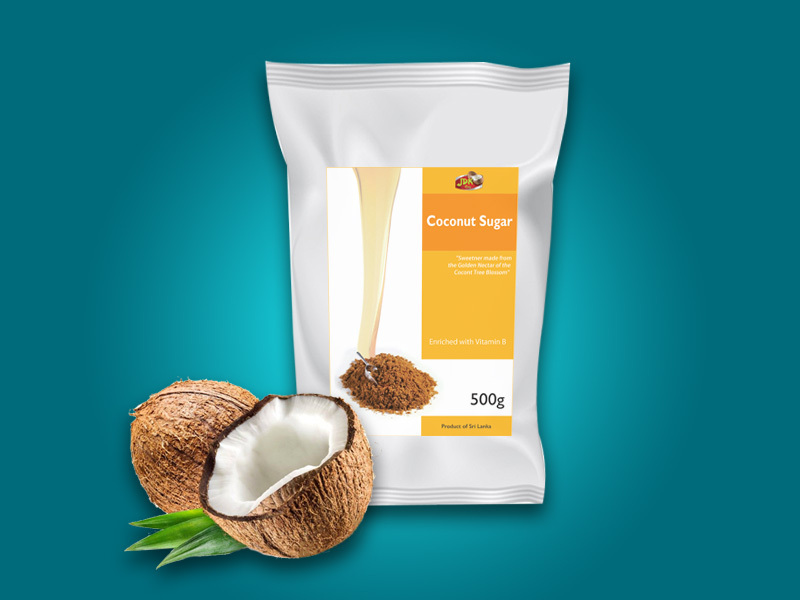 Rich with nutrients and minerals, Coconut Sugar provides ‘slow-release’ energy which provides healthy sustenance for the human body throughout the day.